Her main areas of practice include general corporate work and government affairs. Ms. González-Calderón was elected in 2004 to the Senate of Puerto Rico, and reelected in 2008. During her first term in the Senate, she was Minority Whip, Ranking Minority Member in the Appropriations and Budget Committee, the Education and Family Affairs Committee, the Women’s Affairs Committee, and the Ethics Committee as well as member of the Government Committee. As Minority Whip, she was an ex-officio member of all other Committees in the Senate. During her second term, she was a member of the Government the Appropriations and Budget Committees. She was also Ranking Minority Member in the Education and Family Affairs Committee and the Women’s Affairs Committee. Ms. González-Calderón served as First Lady during her mother Sila M. Calderón’s tenure as Governor, developing successful initiatives in the areas of education and underprivileged communities. She held that position, along with her sister María Elena, from 2001 to 2004. 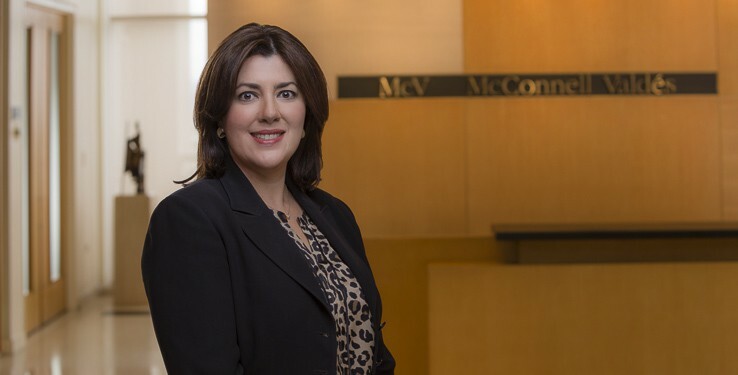 Before her public service in Puerto Rico, Ms. González-Calderón worked as Assistant Regional Counsel in the Superfund area of the Environmental Protection Agency, Region 1, in Boston and as a corporate attorney at various law firms in Puerto Rico.